We’ve gently coaxed the sparkling flavors out of this blend of Latin American and East African beans with a unique lighter roasting style for those beans whose delicate flavors reach their pinnacle at a shorter roast time. The bright, crisp flavor and subtle complexity shine through beautifully to create a breezy, deliciously easy-to-drink cup. Subtle as it is, this coffee’s influence is no less enchanting. 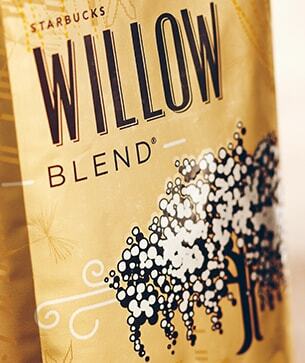 The experience of this coffee is much like the gentle, pliant branches of the graceful willow tree. Lovely to behold, light, bright and elegant, but never overpowering.